The Blue Mist Necklace & Earrings are a lovely set of chrysocolla beads set in gold. They are a classic, and you just can't go wrong with chrysocolla--such a beautiful blue. 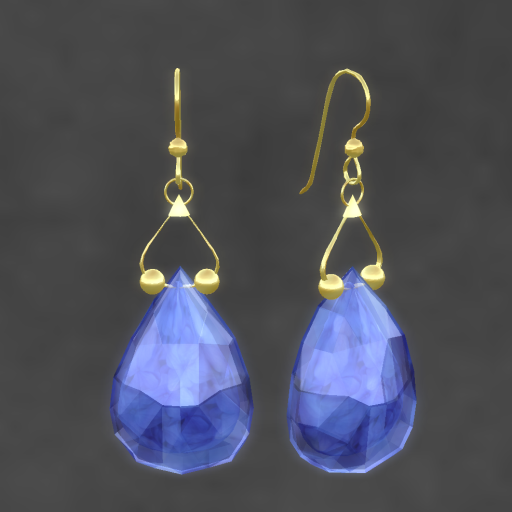 The Blue Mist set is 50% off this week for the LOW Sale at ELEMENTAL JEWELRY--only L$75! Also on sale--The Bewitched Blossoms Neckace and Earrings in Hydrangea blue. Blue Hydrangea Blossoms are encased in a faceted blue teardrop stone--how enchanting. The necklace and earrings are sold separately for only L$50 each. Also on sale for 60L Weekend--The Sunset Beauty Necklace & Earrings shown in the last blog post. 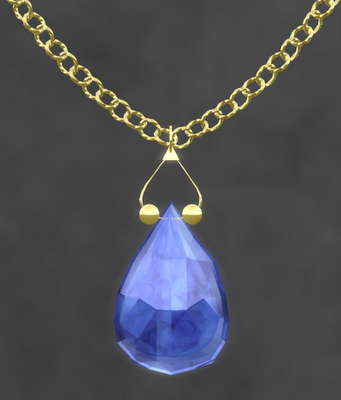 The necklace or earrings are L$60 each.